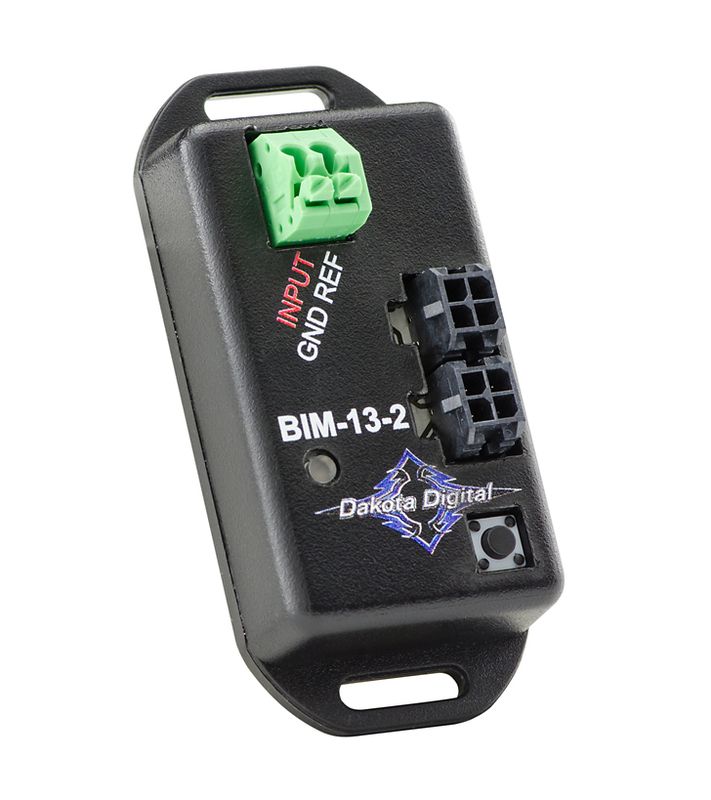 The Dakota Digital BIM-13-2 Wide Band Air/Fuel ratio monitor allows you to display the reading from almost any aftermarket wide band controller system. User-programmable to display in either as an air/fuel ratio or lambda display. The BIM-13-2 is able to scale its output for use with nearly any Air/Fuel Controller available with a 0-5V output. Common brands of aftermarket Air/Fuel Controllers include Innovate Motorsports, NGK, FAST and AEM among others. *The BIM-13-2 is designed to supply this information to the VHX, HDX, RTX and VFD3 systems with a black plastic control module. For any BIM-compatible control boxes which contain the 3.5mm headphone jack BIM input, add part number 394193 adaptor harness. Earlier instrument systems with an aluminum control module are not capable of BIM connectivity.